Vinotemp International, a leader in the wine storage industry, has been building premium wine cabinets for over 25 years. Vinotemp is a full-service manufacturer of custom wood wine cabinets and racking, Wine-Mate cooling systems, and a distributor of quality metal wine cellars. We specialize in all aspects of the wine storage industry with an emphasis on customization. Since 1985, we have sold over a million wine cellars in the U.S. and Designer Series Wine Coolers Francis Ravel, the innovator and creator of Vinotemp, was a man ahead of his time. He began his venture by selling and making his own wine. This is where he was first introduced to the idea of placing a cooling unit into a sealed wine cabinet. In the beginning, he had one factory making the wine cabinets and another making the cooling systems. Ravel then began manufacturing the wine cabinets himself. In the '90s, he decided to ameliorate the problems with the current wine cooling system. With better components, he created the Wine-Mate cooling unit; the only UL approved wine cooling system of the time. His daughter worked with him for 15 years and is now the President of Vinotemp International. 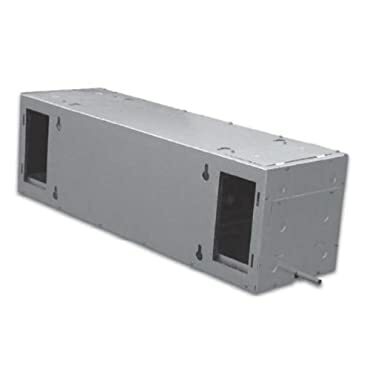 The Wine-Mate 2500SSRWC cooling unit is a split system design with a capacity of 250 cubic feet. Featuring a water-cooled condensing unit, this system does not require exhaust ventilation and can be installed anywhere as long as water circulation is available. SSR cooling systems are designed to be rack mounted, so you can easily install them inside a wine rack or between two ceiling joists. They are an ideal choice for small and medium wine rooms. Wine-Mate cooling systems are also perfect for storing fine fur, cigars, leather goods, chocolate and salami. Split system wine cooling unit - rack mounted design. Water-cooled condenser can be installed anywhere with water connections - no exhaust ventilation required. Evaporator Specs: 115V / 60Hz, .77A. 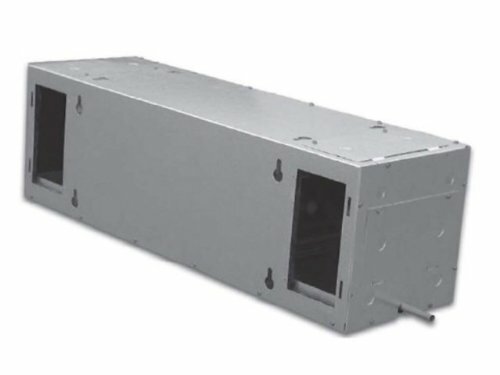 Evaporator Dimensions: 31 7/8" W x 11 1/8" D x 11 3/8" H. Condensing Unit Specs: 115V / 60Hz, 5.7A, UL listed. Condensing Unit Dimensions: 19 7/8 W x 12 1/8" 14 3/8. Coverage size: good for 250 cubic feet. Coupon Details: Get $120.00 OFF automatically when you add this item to your cart! Regular price of $3599.00 will be shown prior to adding it to your cart.